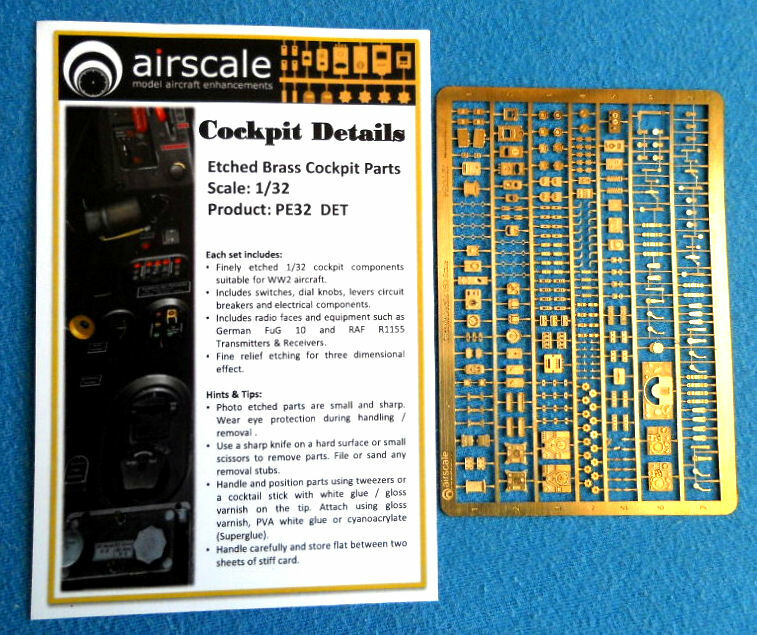 Airscale is relatively new to scale modeling and has come out with decals in popular scales to aid in detailing instrument panels, and which can also be used for dashboards along with placards, which is another added touch to instrument panels and dashboards. I'm sure that anyone who has bought these products has used them some way in every model that they have built since purchasing them. Now, Airscale has come out with another fine product to aid all of us in more precisely detailing our cockpits. 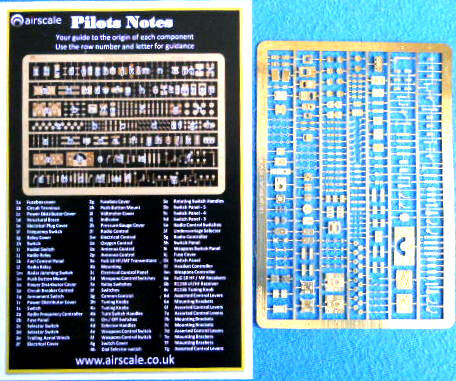 It's a fret full of etched brass cockpit parts. 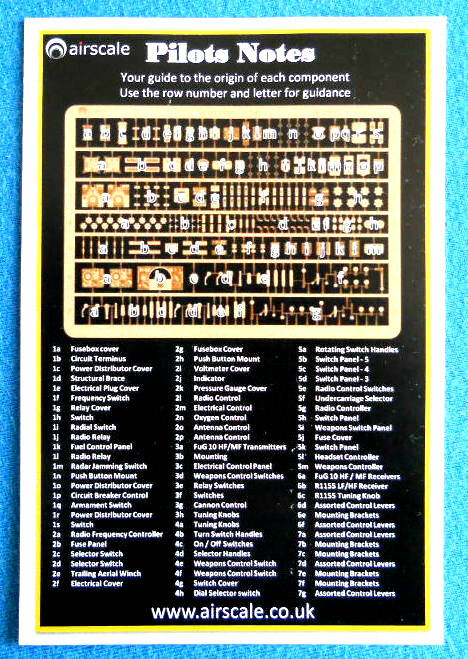 For their first run of this product, their set includes cockpit components for WWII aircraft in 1/32 and 1/24 scale. The set includes switches, dial knobs, levers, circuit breakers, and electronic components. They also include radio faces for German and RAF transmitters and receivers which will give that 3D effect. Like all photo etch parts, they will have to be glued with CA glue, white glue, or any glue product that you may find suitable for adhesion. This highly detailed set also works in conjunction with their other products, such as their new instrument panel bezels, and old favorites like the dial and placard decals. As of the date of this review, these details are only available in 1/24 & 1/32 scale, but soon will be released in other popular scales. Please take a look at their website to see all of their products which will add realistic detail to any cockpit that you want to display that extra degree of realism. I have seen these products at Spruebrothers for sale at a reasonable price. These are definitely worth it for those of us who love having a cockpit to be proud of, and just one set can be used for many models to come. I would like to thank Airscale for sending us an example and IPMS/USA for giving me the opportunity to review this product.